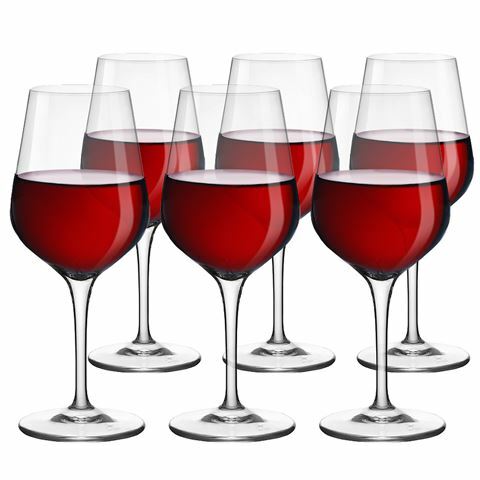 Modern and magnetic, Bormioli Rocco's Electra collection of stemware is designed to bring out the best in your wine. Whether you prefer red, white or sparkling wine, each piece in the collection is crafted with the intention of enhancing the specific flavours and aromas of your wine in mind. Each set of glasses is laser cut to create uniform, thin rims that are ideal for wine tasting, and features a pulled stem to ensure that you can sip cabernet sauvignon from your elegant, slender glasses for years to come. Made in Italy from glass. 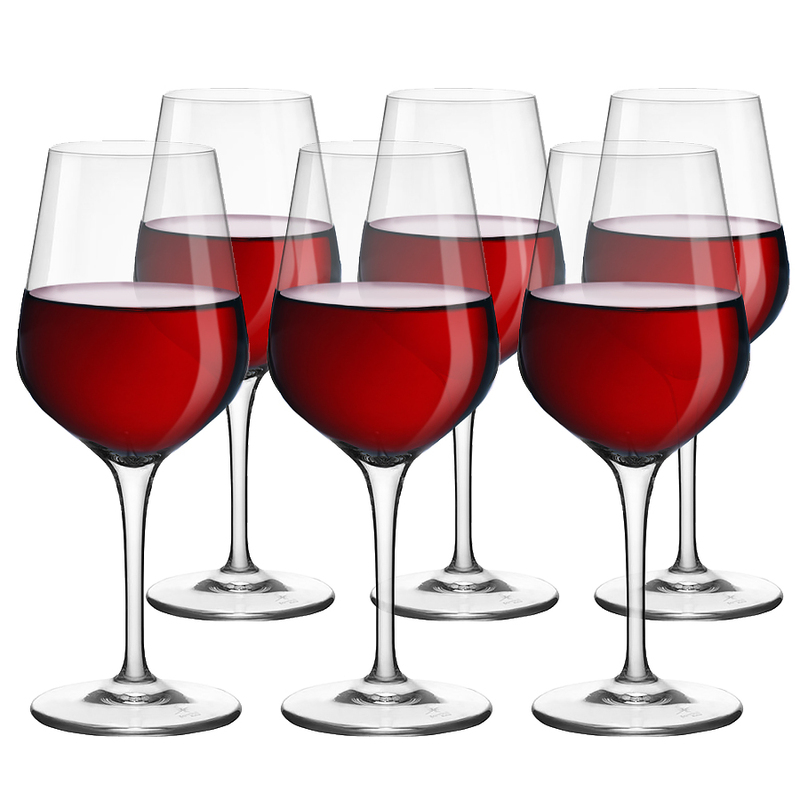 Glasses enhance the long and elegant flavours and aromas of red wine. Robust design with a pulled stem. Presented as a set of six wine glasses in a Bormioli Rocco box.